Aug 22 How You Can Help Mothers With Newborn Babies? Can you imagine coming home with a newborn baby and not having the funds to care for them at a basic level, let alone purchase furniture and other extra items for them? Through our fabulous knitting community, I have been led to St Kilda Mums and chatting with their CEO Jessica Macpherson, she has told me that not only are they are always happy to receive any pre-loved (and new) baby items in good condition, they are in desperate need of knitters and crocheters to make cot blankets. St Kilda Mums recycle preloved and donated baby goods like clothing, nursery equipment and toys, giving them to families in need. St Kilda Mums’ vision is a future where we waste less, share more and care for every baby and child. 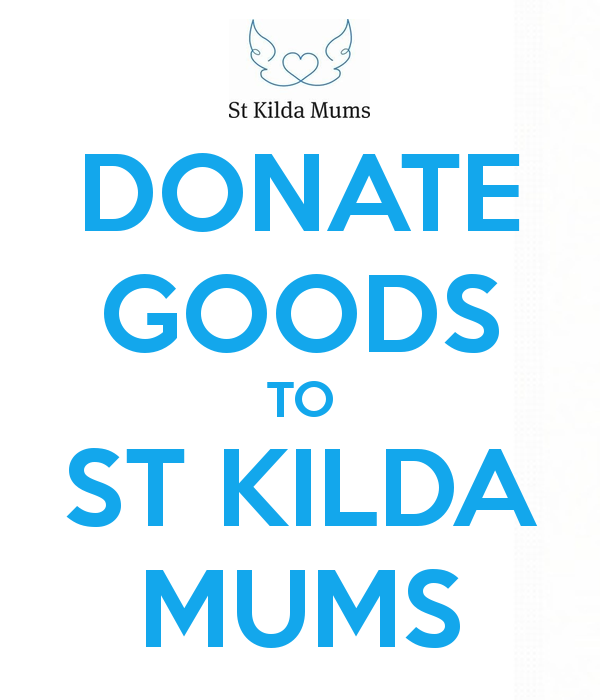 St Kilda Mums was founded in 2009 when a local mother’s group noticed baby goods donated by local parents in the area were stacked high in the photocopying room of the St Kilda Maternal and Child Health Centre. One of the mums, Jessica Macpherson, volunteered to sort, clean and package the preloved goods for rehoming to families who might need them. Jessica and the other mums only wanted to rehome items that were in the best possible condition, which has become a fundamental value of the group. Once the goods were ready for rehoming, a nurse from the centre distributed the items to local families in need. As word spread to other social workers at local welfare agencies, demand grew. After local media coverage, St Kilda Mums was offered free use of a double garage in Elwood for storage and sorting. During that period, the team built a strategic and fundraising plan, with a goal of raising funds to cover operating costs and a lease on new premises. In August 2013, Jessica Macpherson was appointed as CEO, and in the past five years, the organisation has grown tenfold. Through the care and dedication of their volunteers, St Kilda Mums can provide everything a family experiencing hardship needs to welcome their new baby home from the hospital, which includes a cot, pram, car seat, bouncer, breast pump, change mat, toiletries, nappies wipes, clothing and linen, books and toys. Many of the recipients of goods provided by St Kilda Mums are in safe housing or temporary accommodation, with social workers and other welfare professionals providing the link between them and St Kilda Mums. Volunteers underpin and enable all the work St Kilda Mums do. No metric could measure their generosity. They work during their free time, often from their own homes, and often juggling paid work and their own family commitments. From the women who knit for them to the dad who designed their website, to the groups that participate in their Workplace Volunteering Programme, St Kilda Mums rely on volunteers to provide the help they offer to mums in need. St Kilda Mums operates in Geelong as Geelong Mums and Ballarat as Eureka Mums. St Kilda Mums are also proud to have assisted in the setup of similar groups around other parts of Australia and the world, including Bendigo, Warragul, Shepparton, Sydney, Hobart, Adelaide, Canberra, Gold Coast, Perth, New Zealand and the UK. ● The organisation receives no Government funding and dependent on the community for support. If you would like to knit, volunteer or assist St Kilda Mums in any way, please click on the link to their website here. Thank you for all your support. Could you please spread the word to others who might be able to assist St Kilda Mums by sharing this article? Feb 27 Which Amazing Charity For New Mums Needs Our Help?